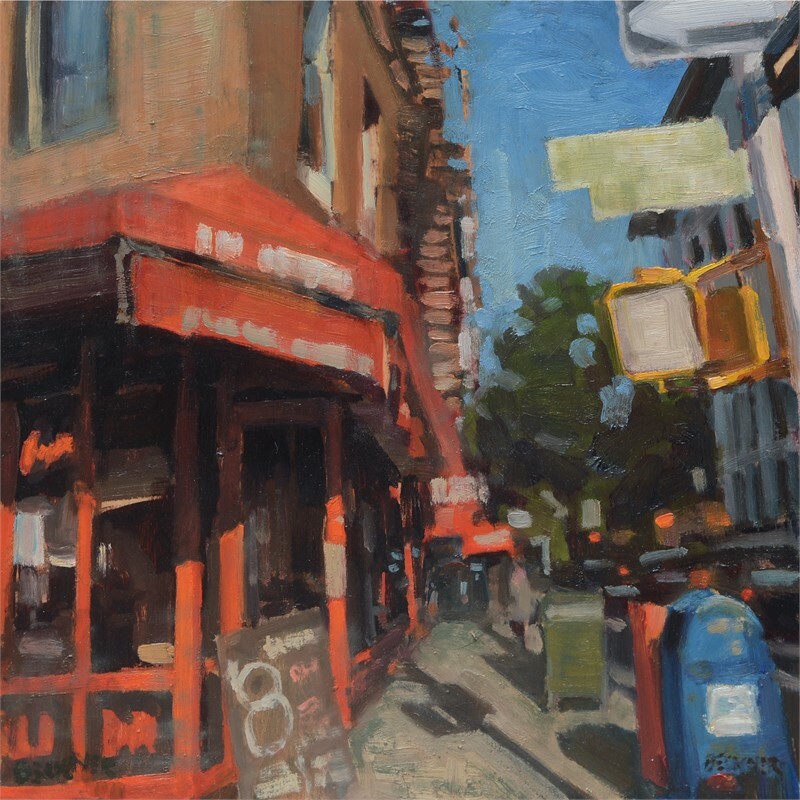 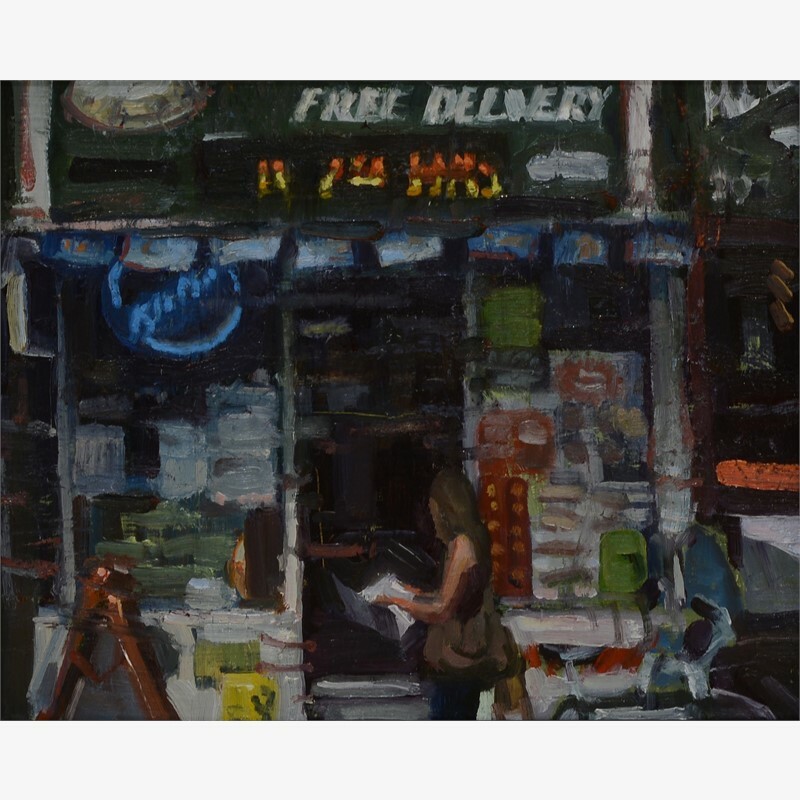 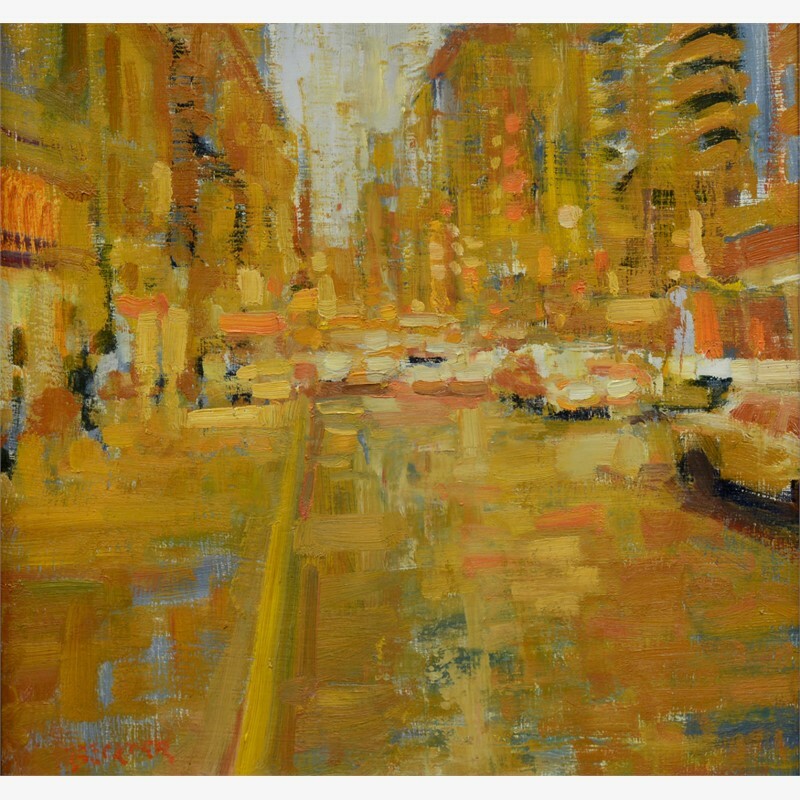 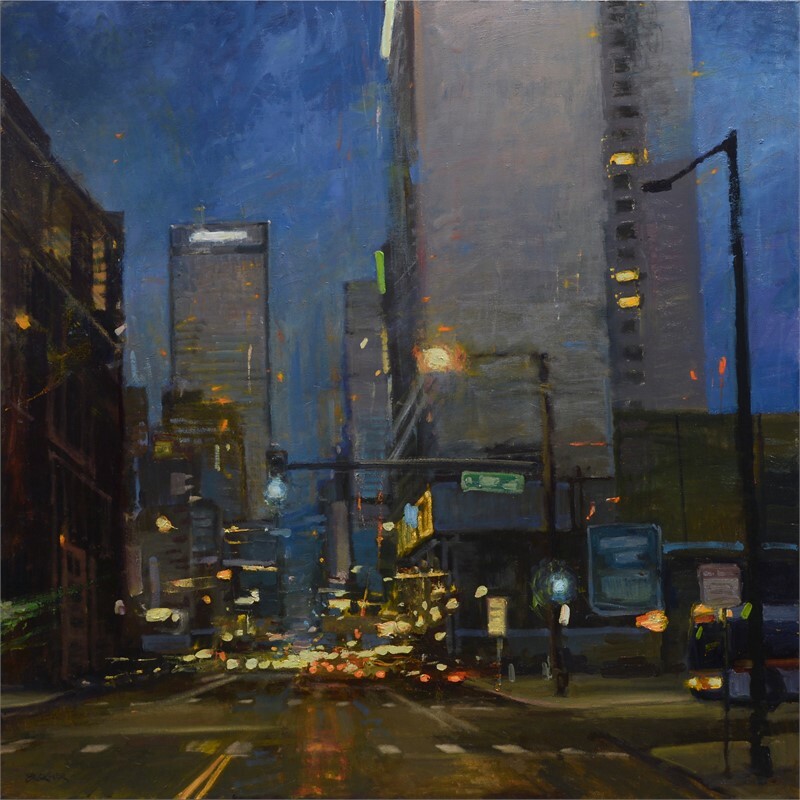 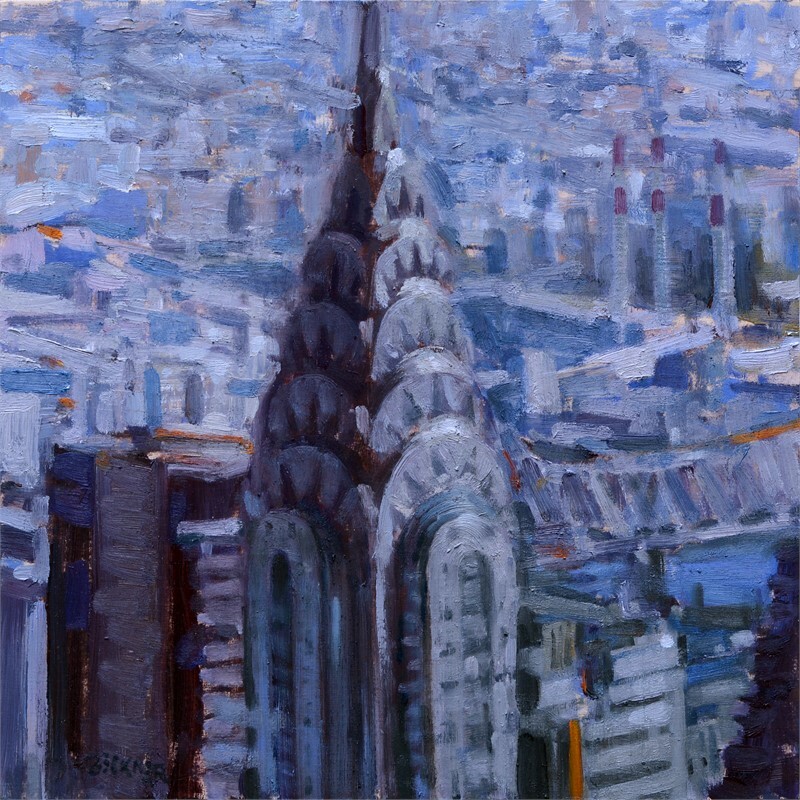 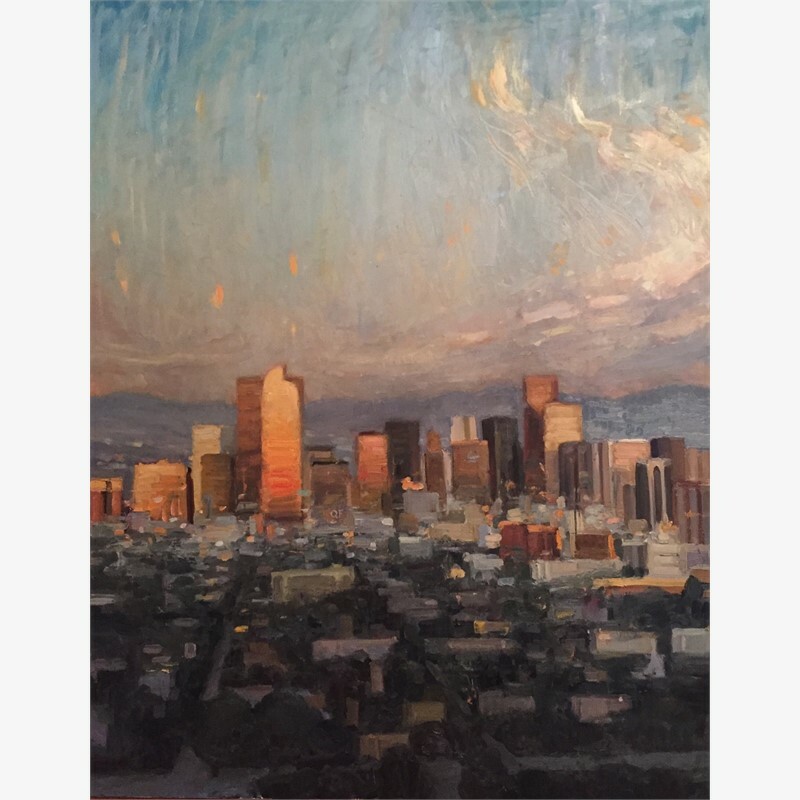 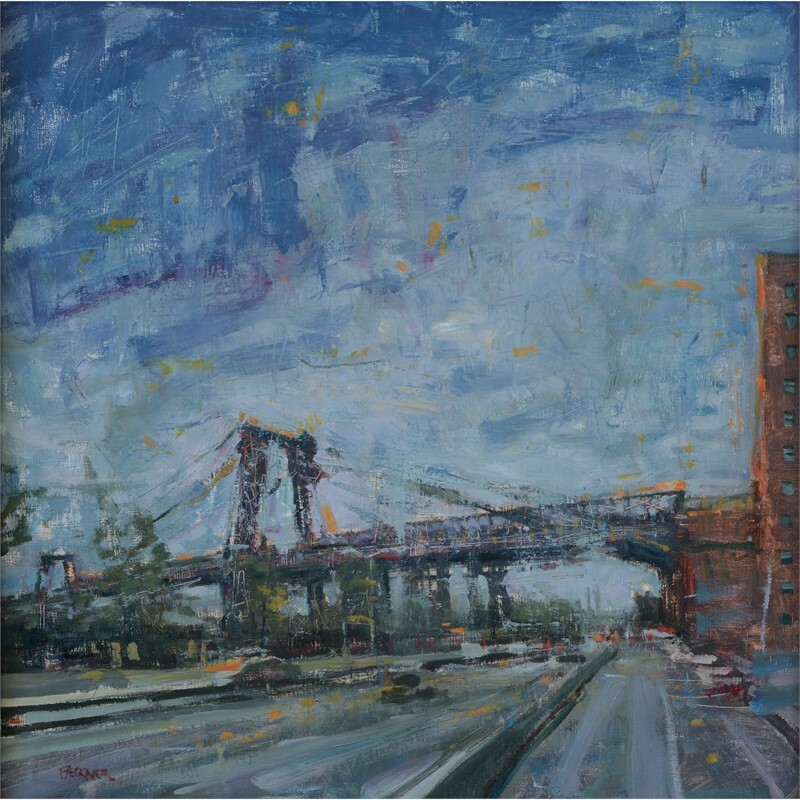 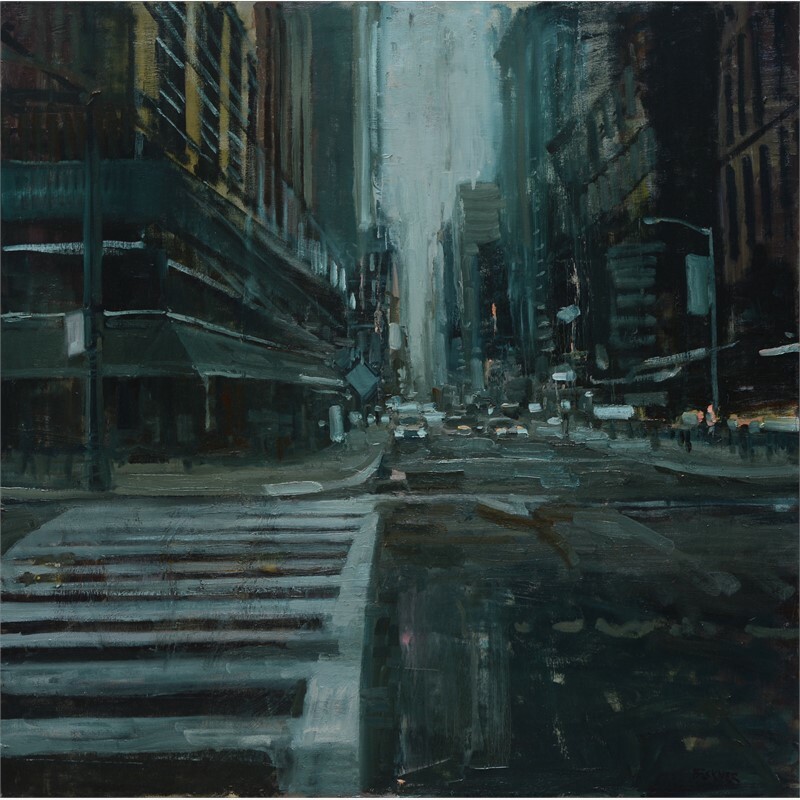 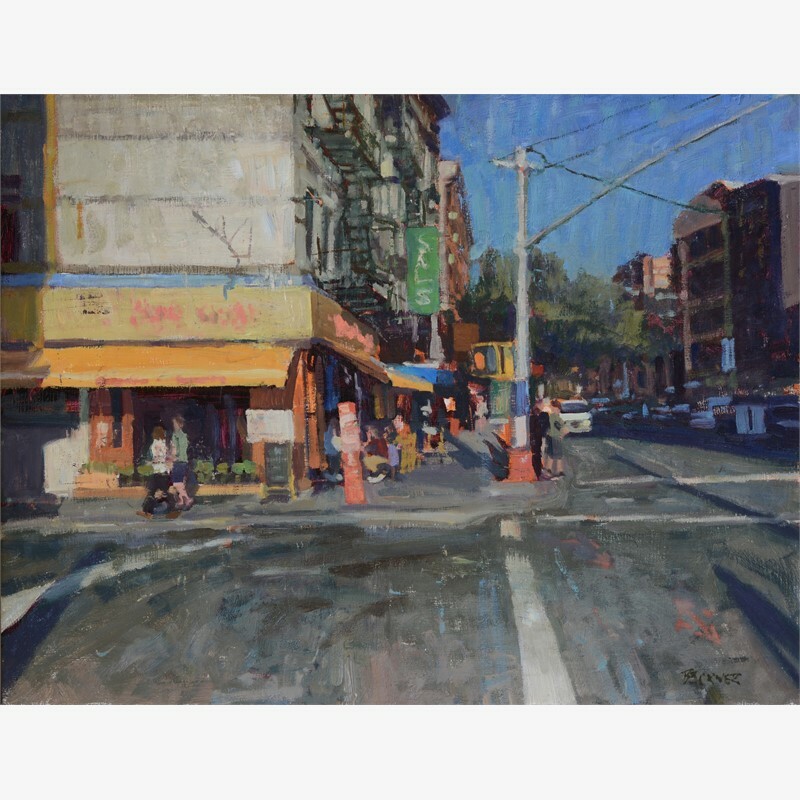 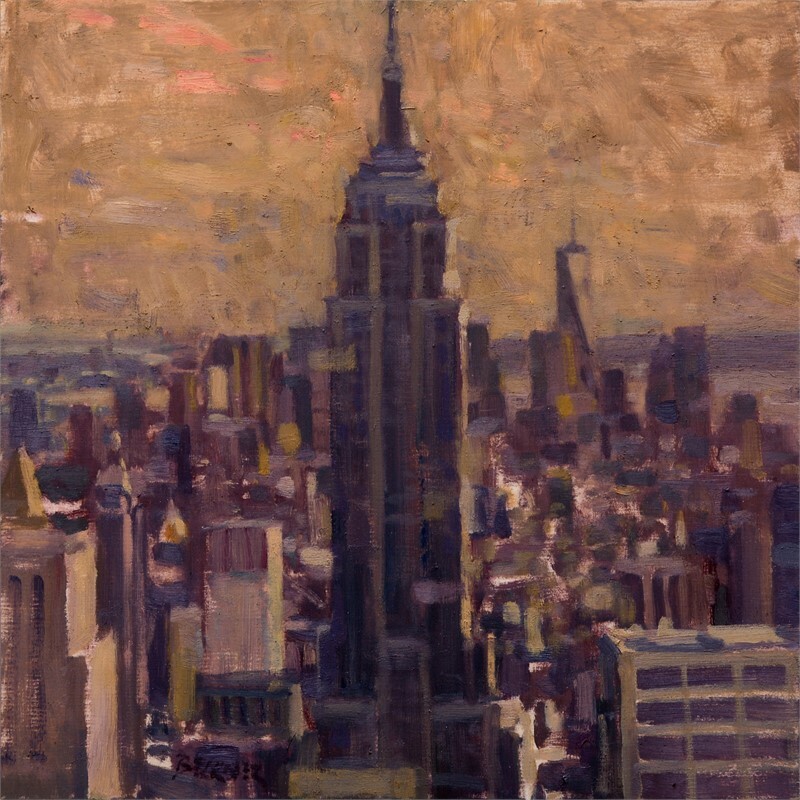 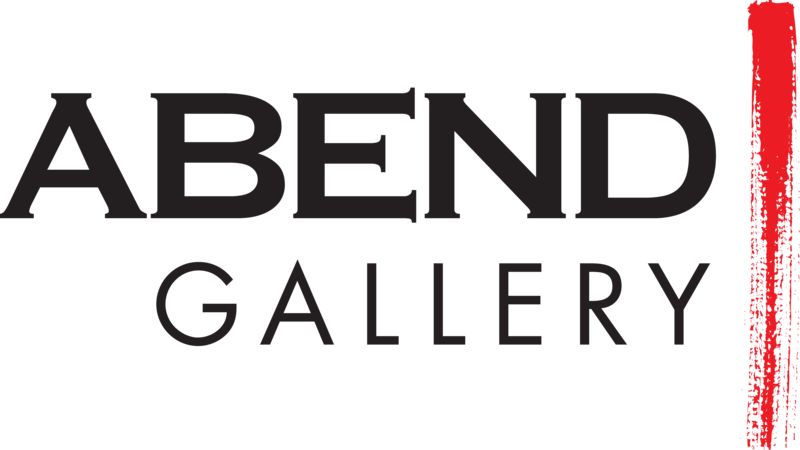 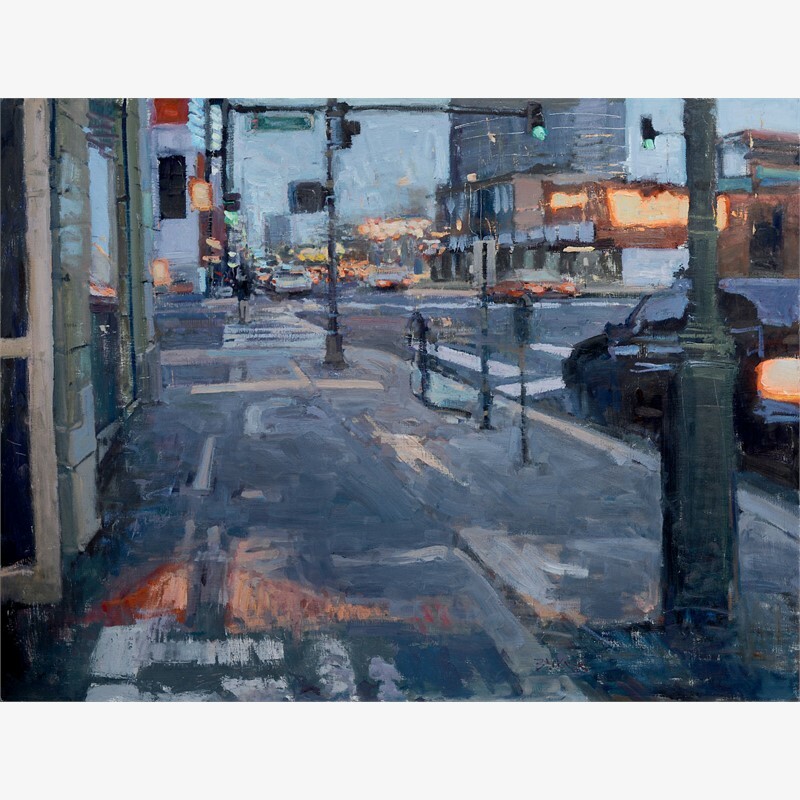 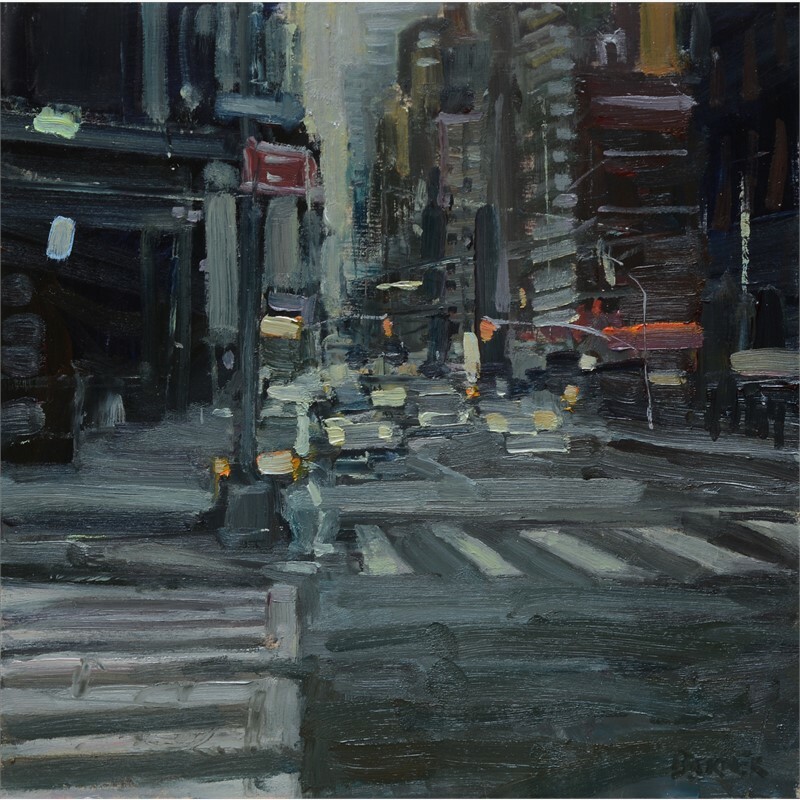 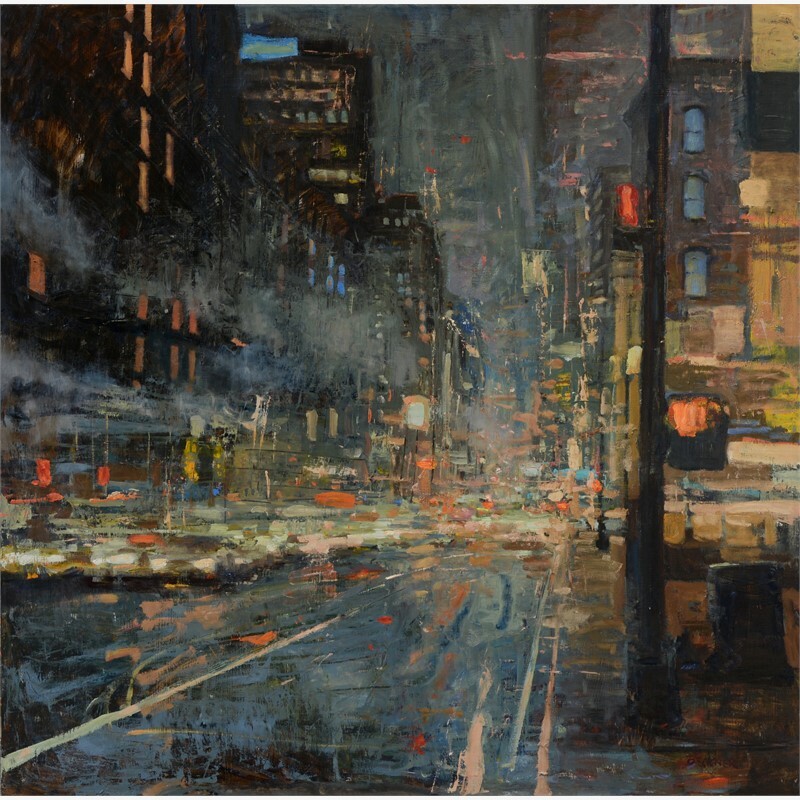 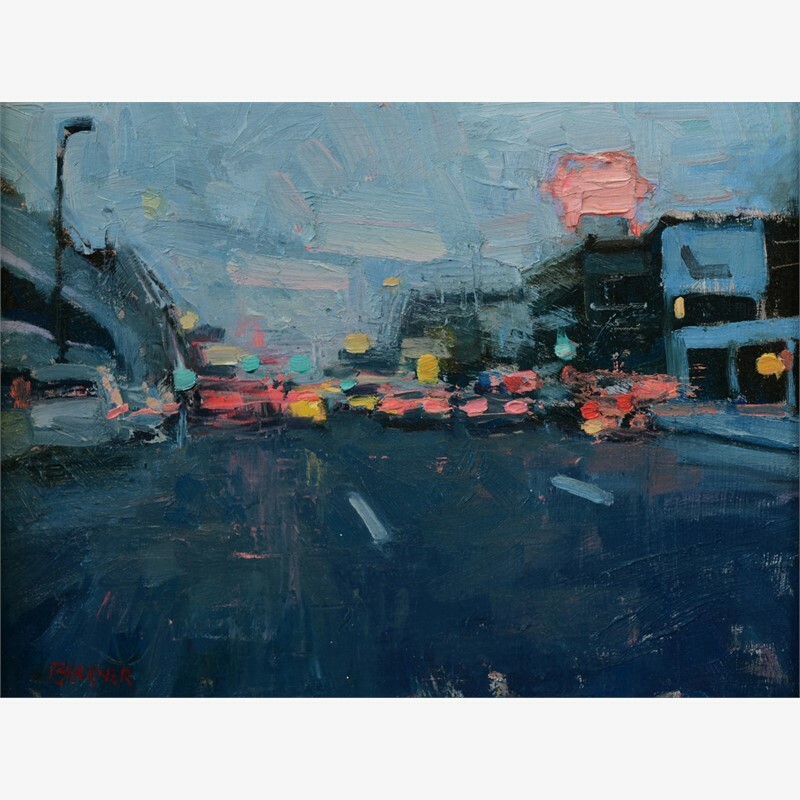 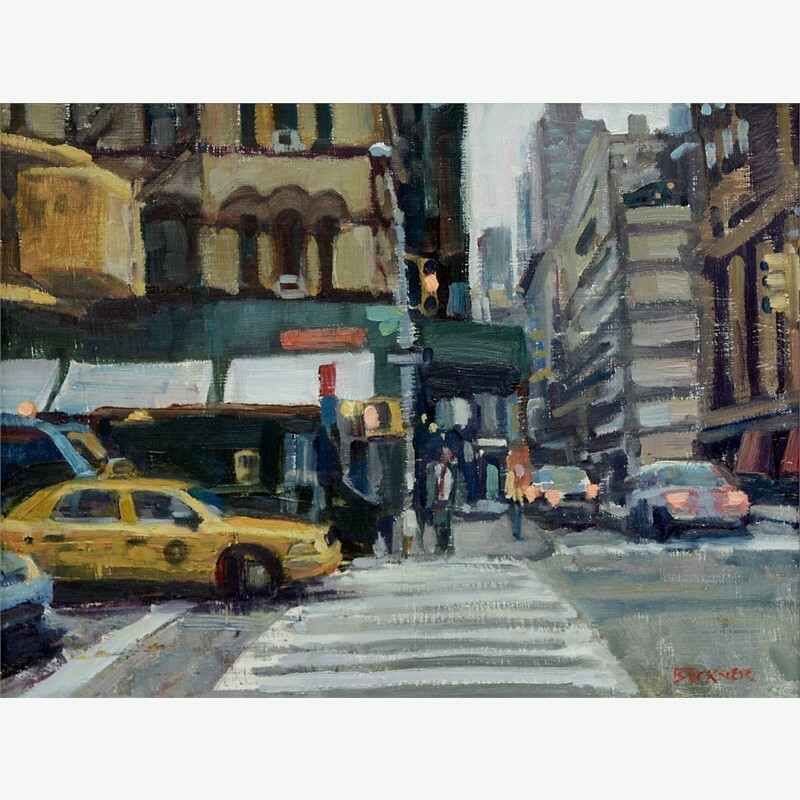 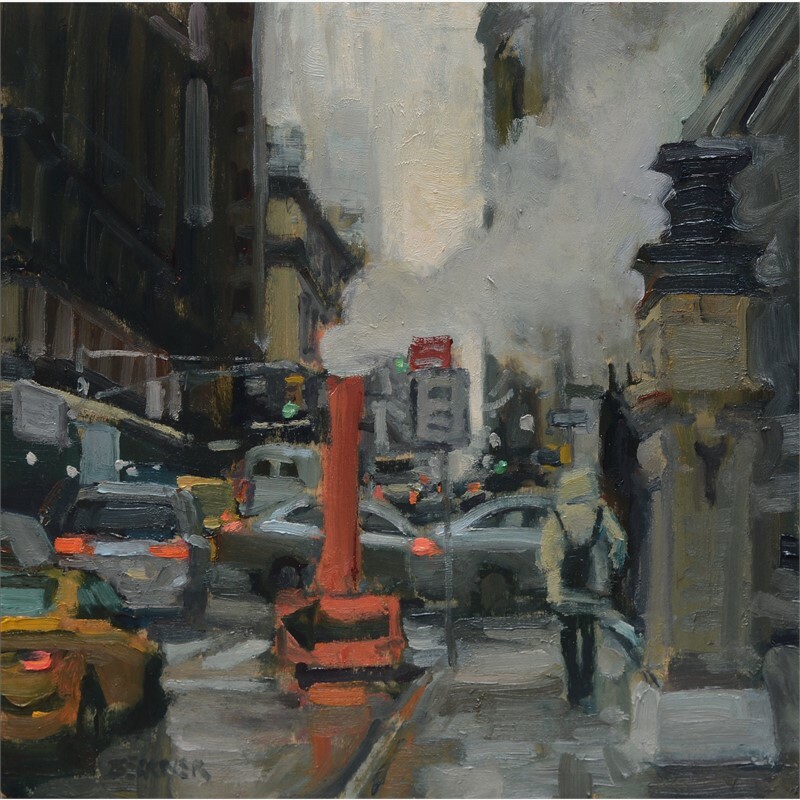 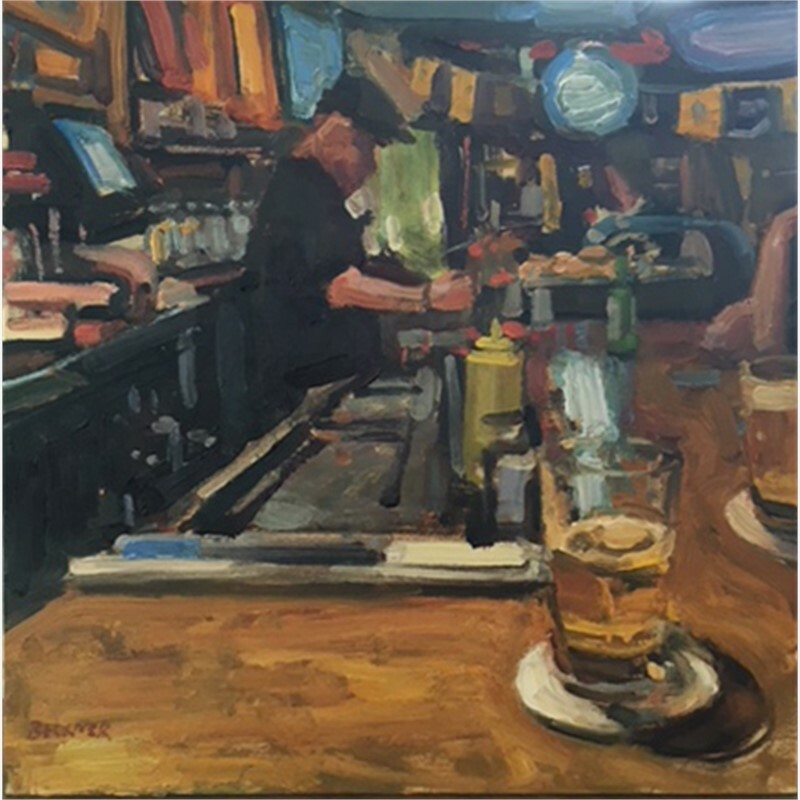 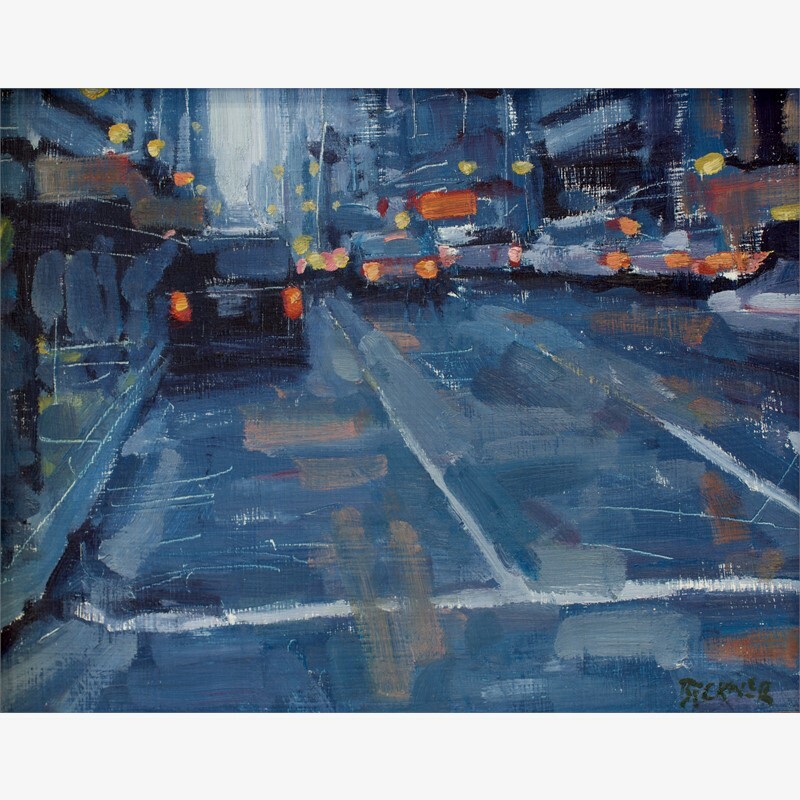 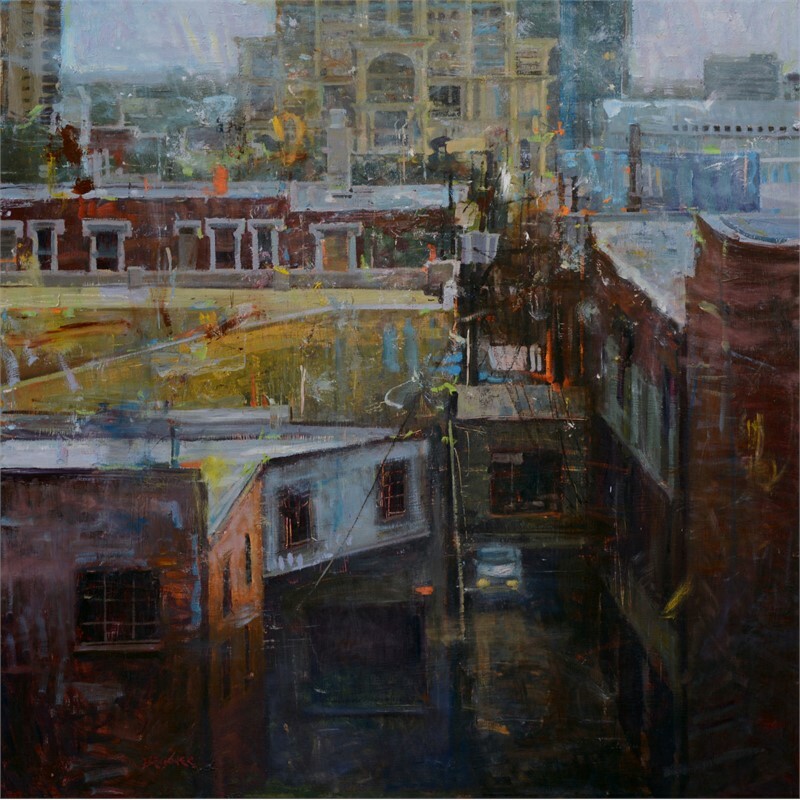 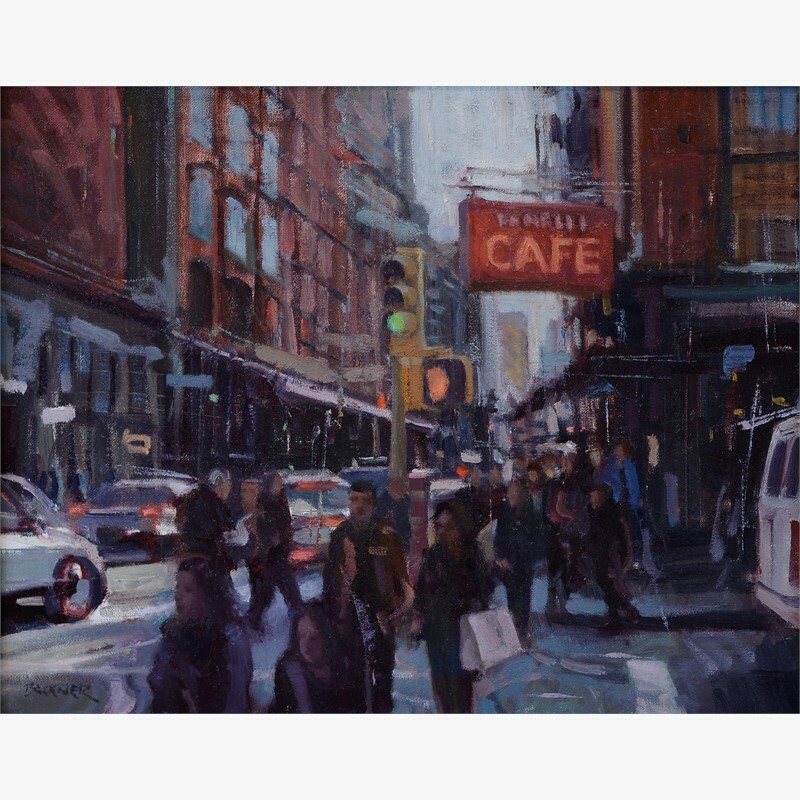 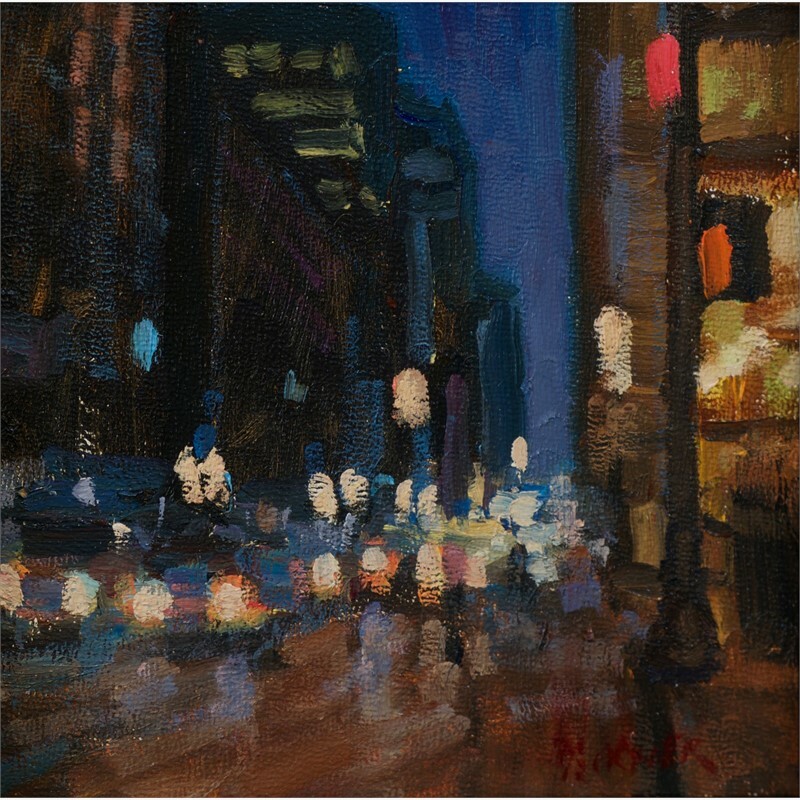 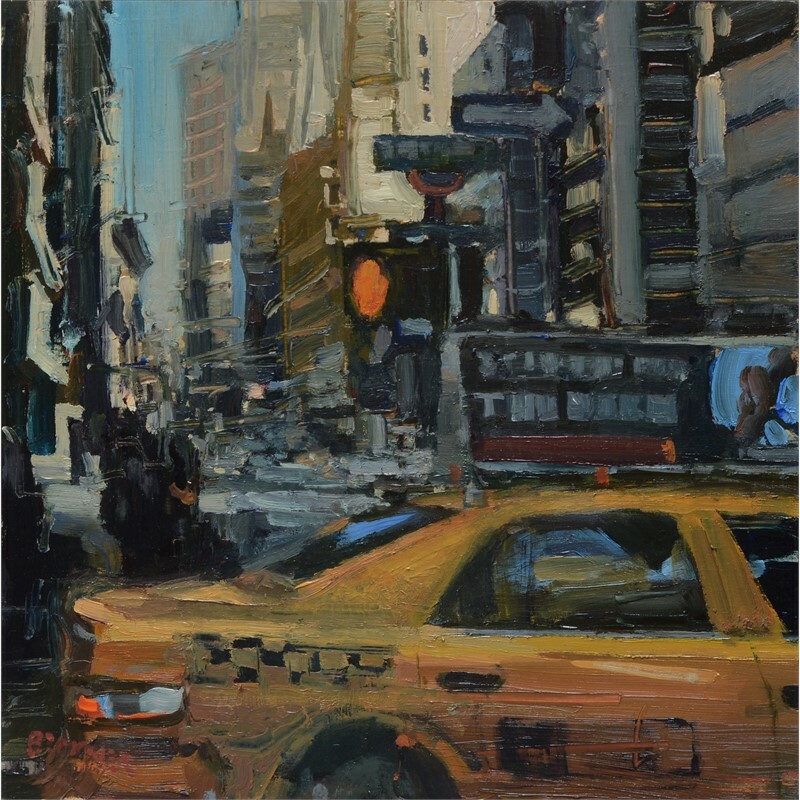 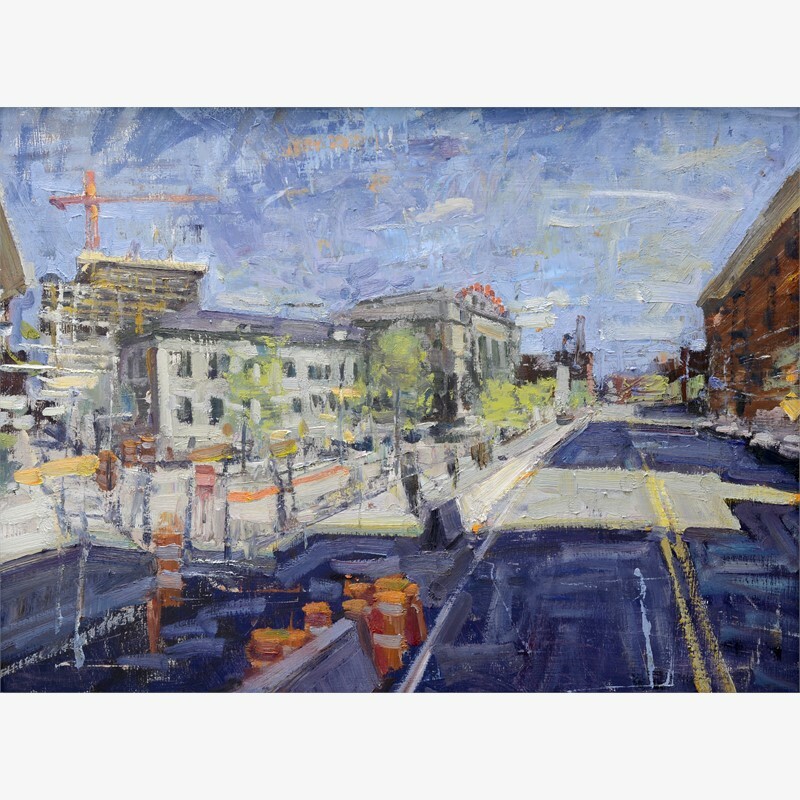 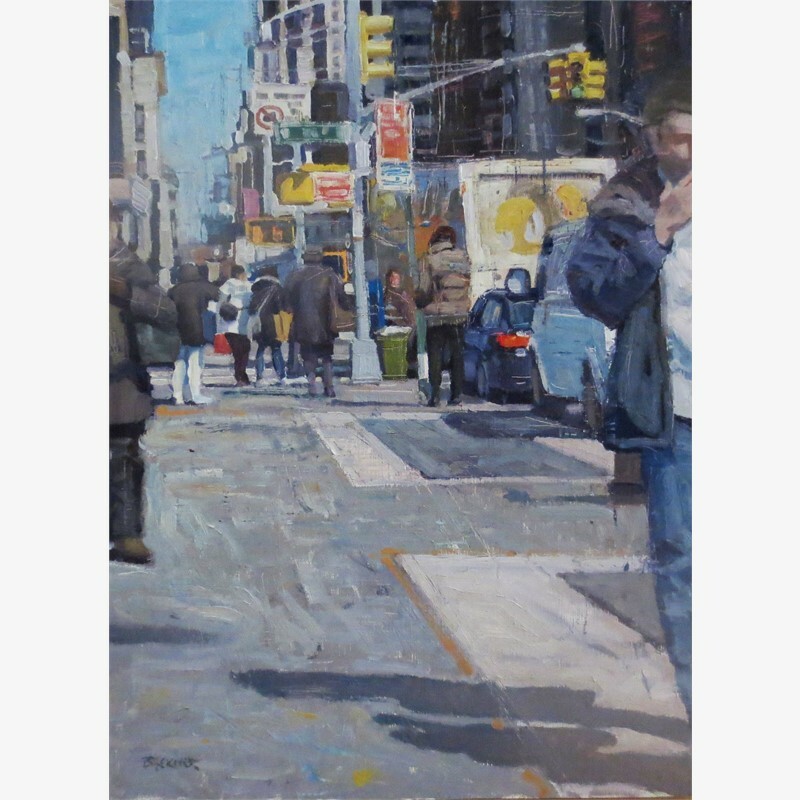 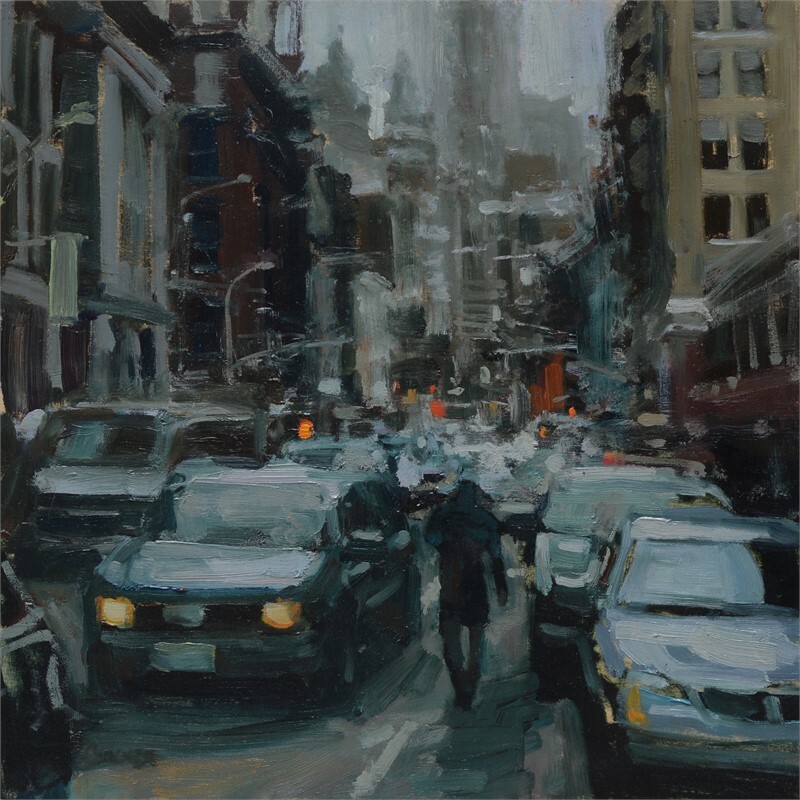 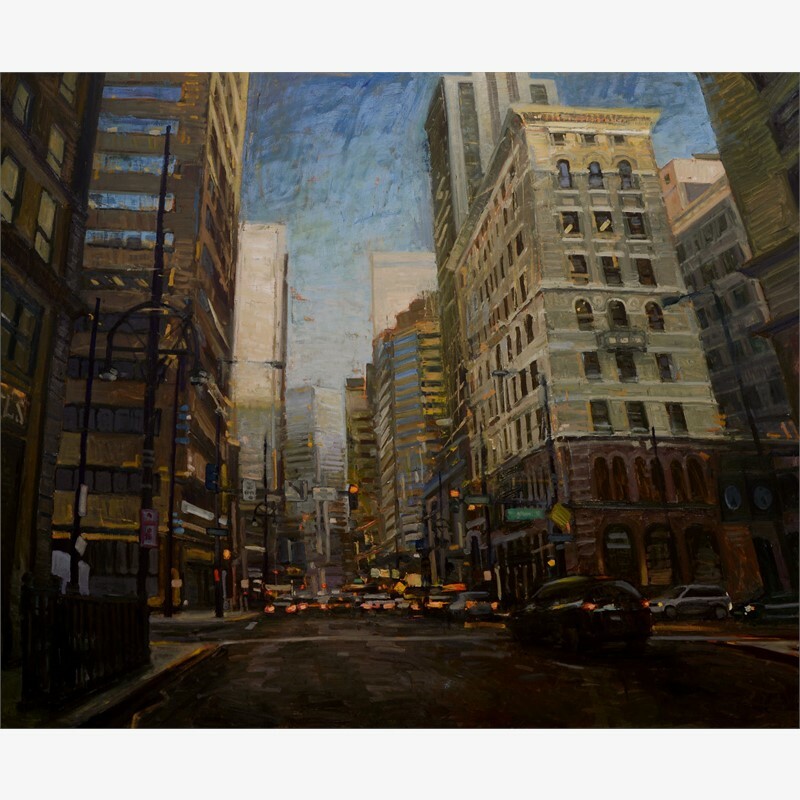 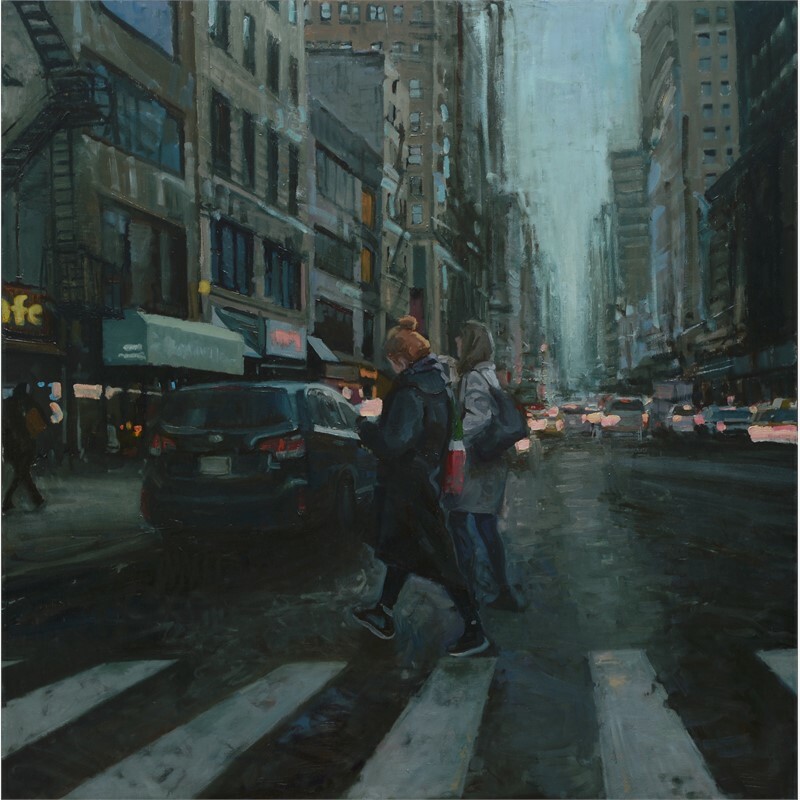 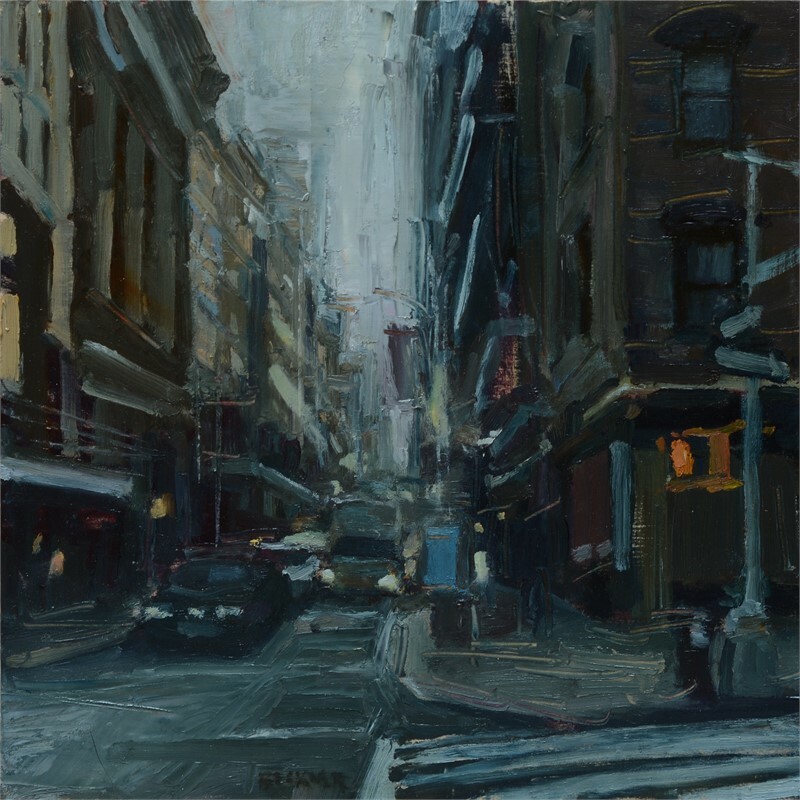 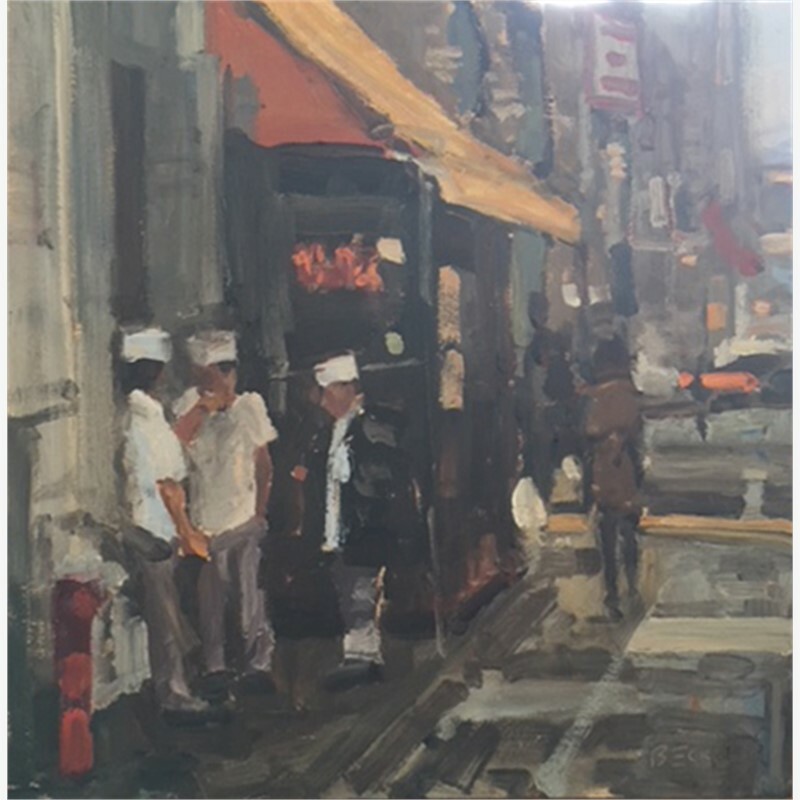 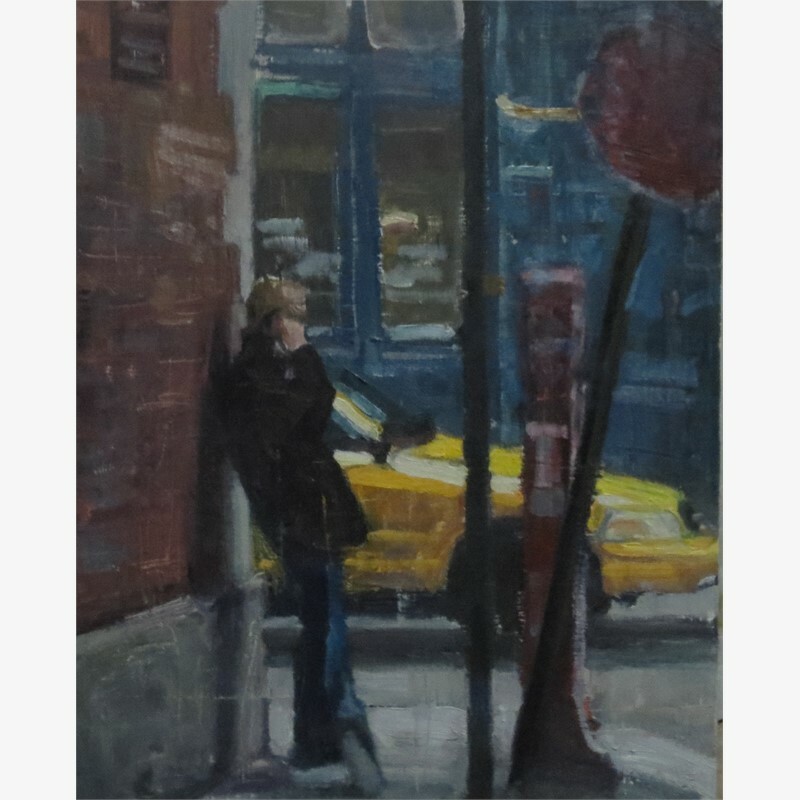 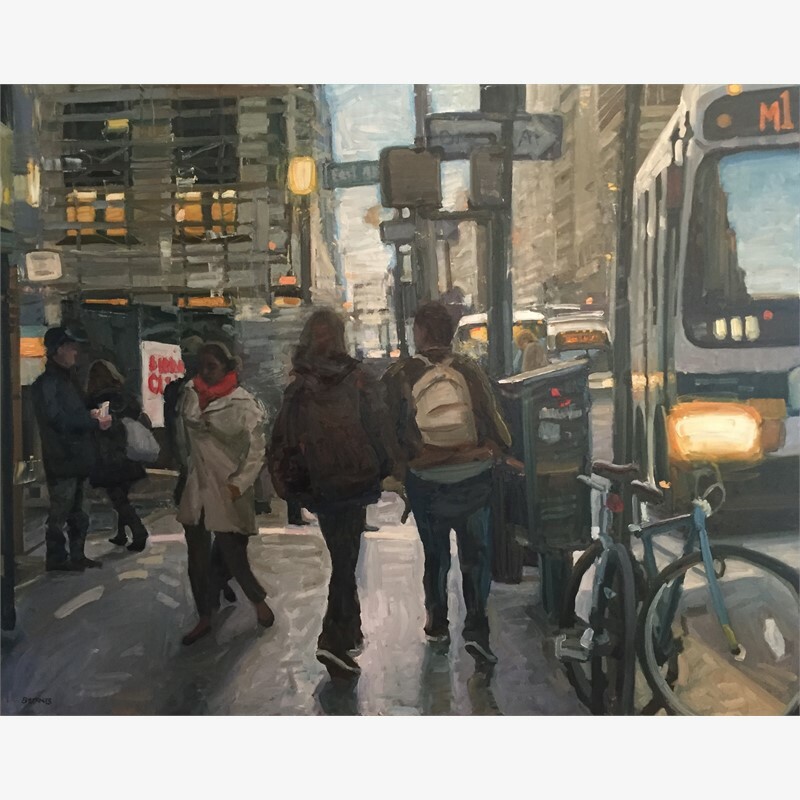 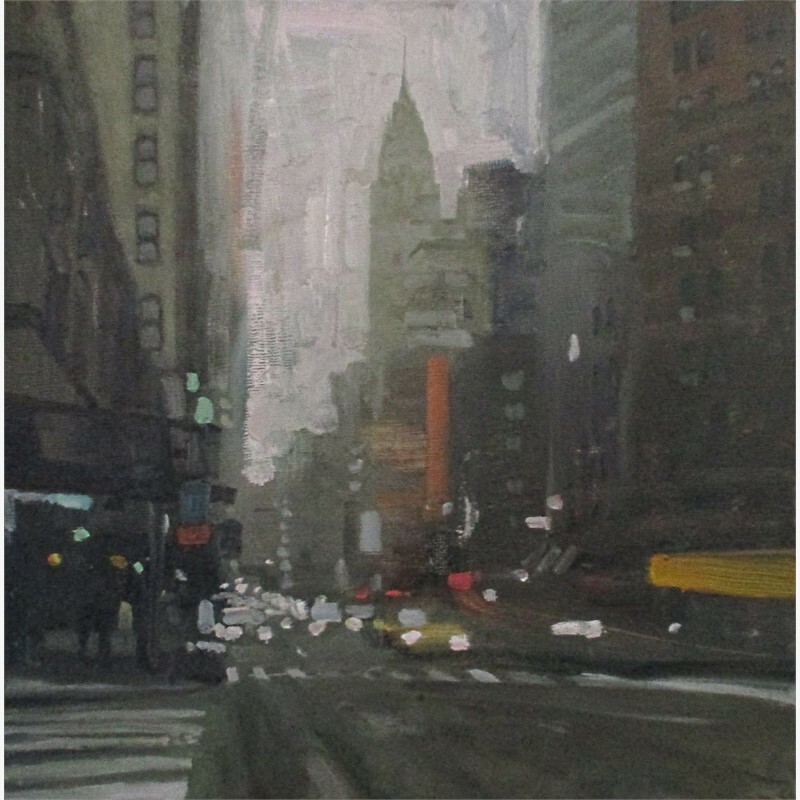 Jim Beckner’s art vibrates with the pulse of the city. 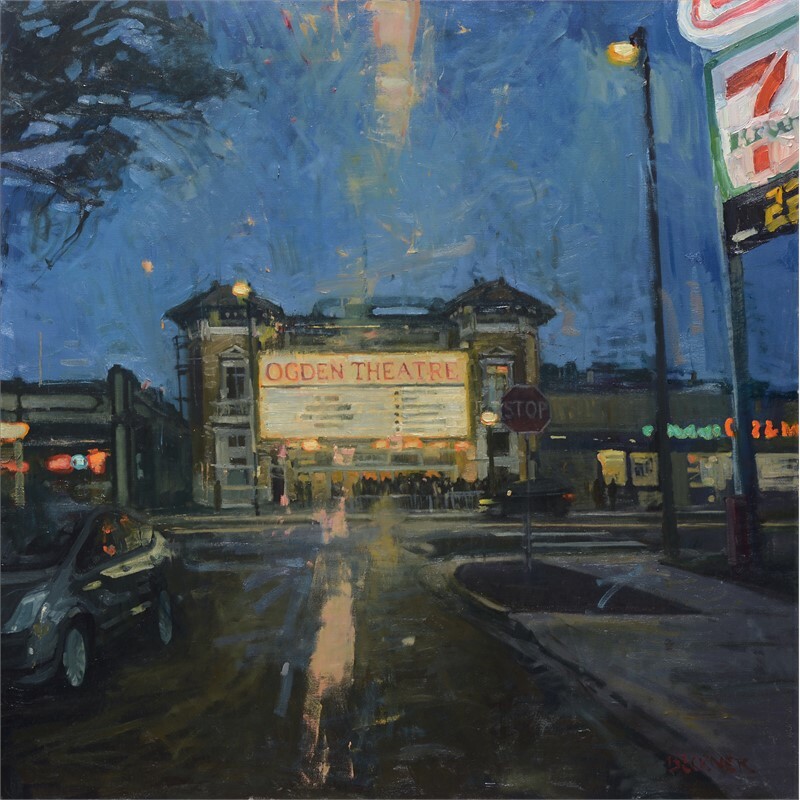 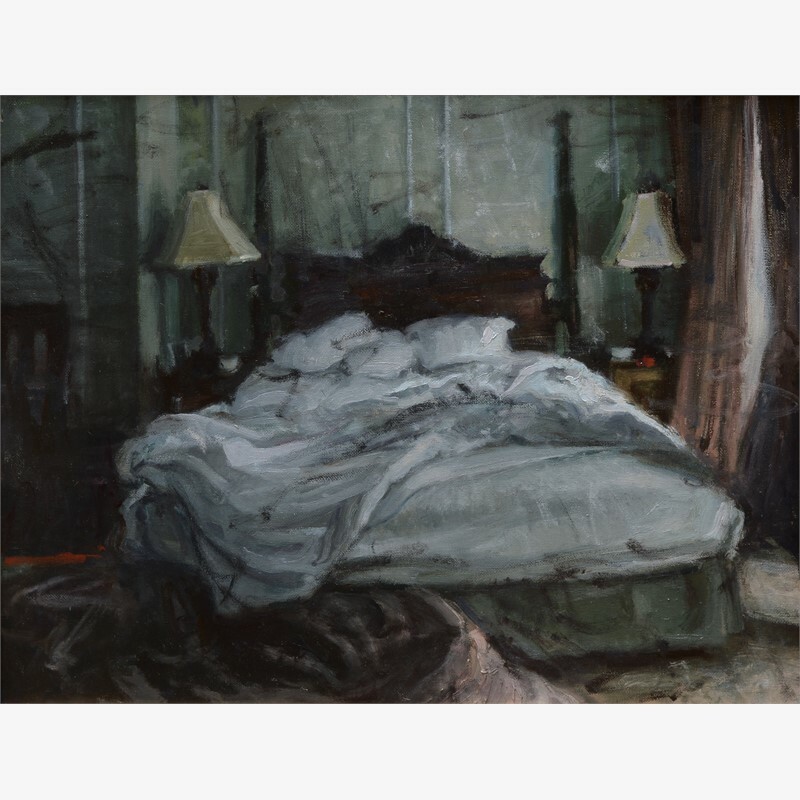 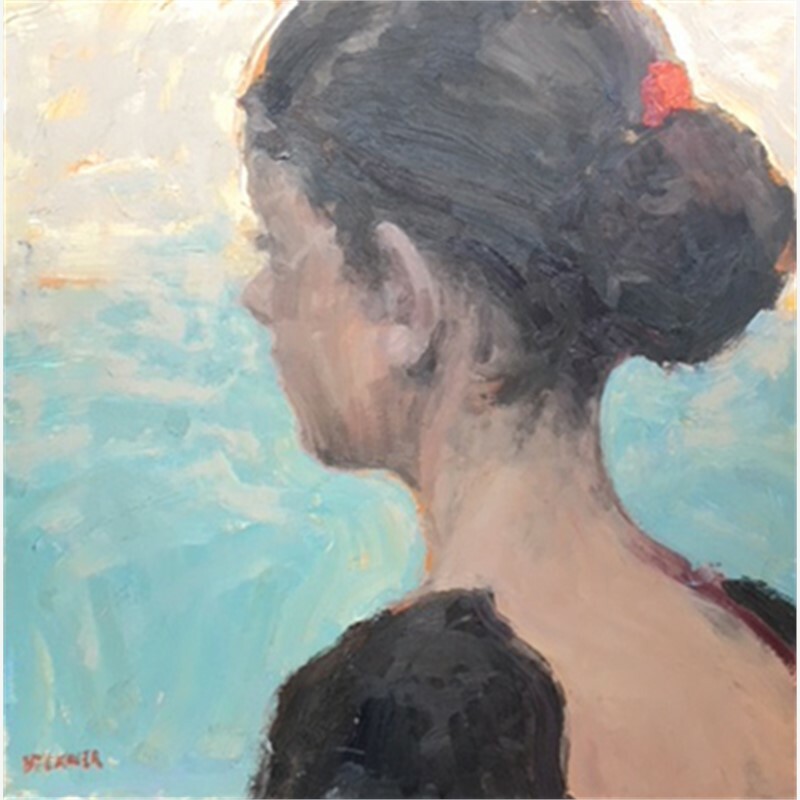 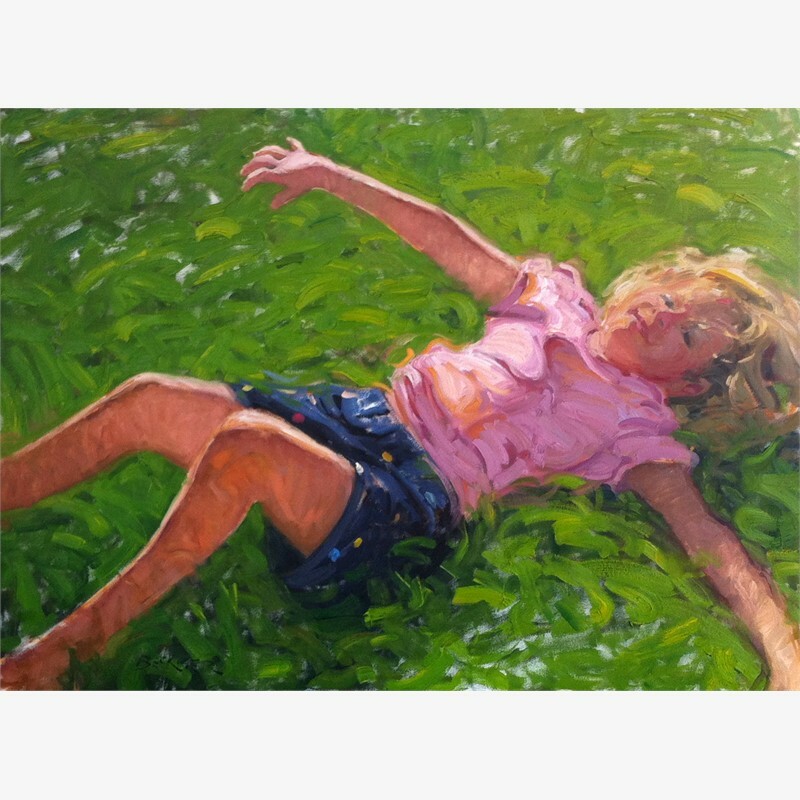 His edgy and energetic paintings give one a sense of motion, and though his subject is gritty, the colors with which he achieves this feeling are far from muddy; in fact, one often finds throughout his work, pure, clean jewels of pigment that pop with life. 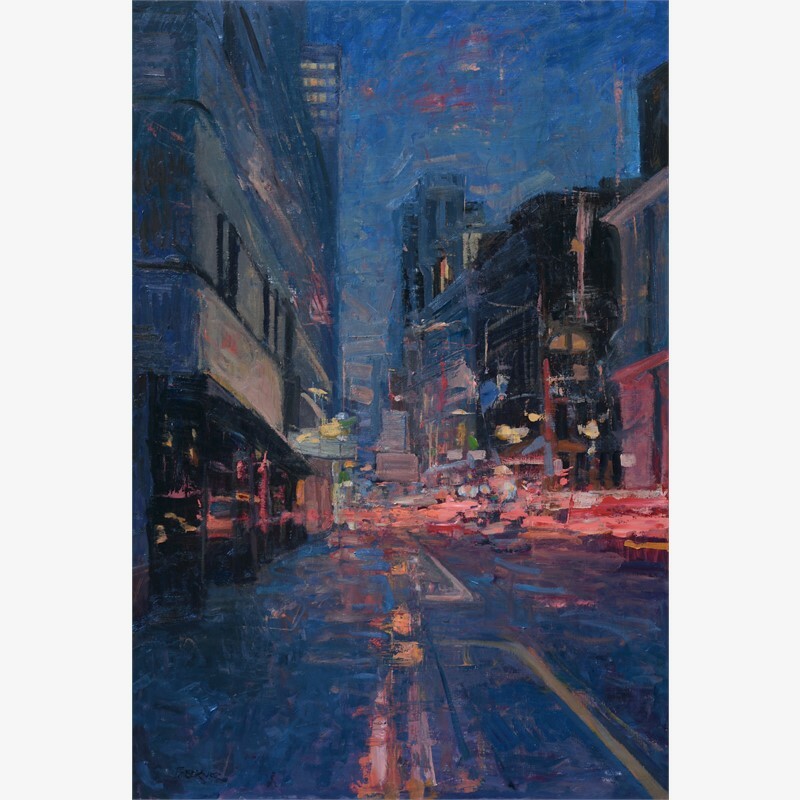 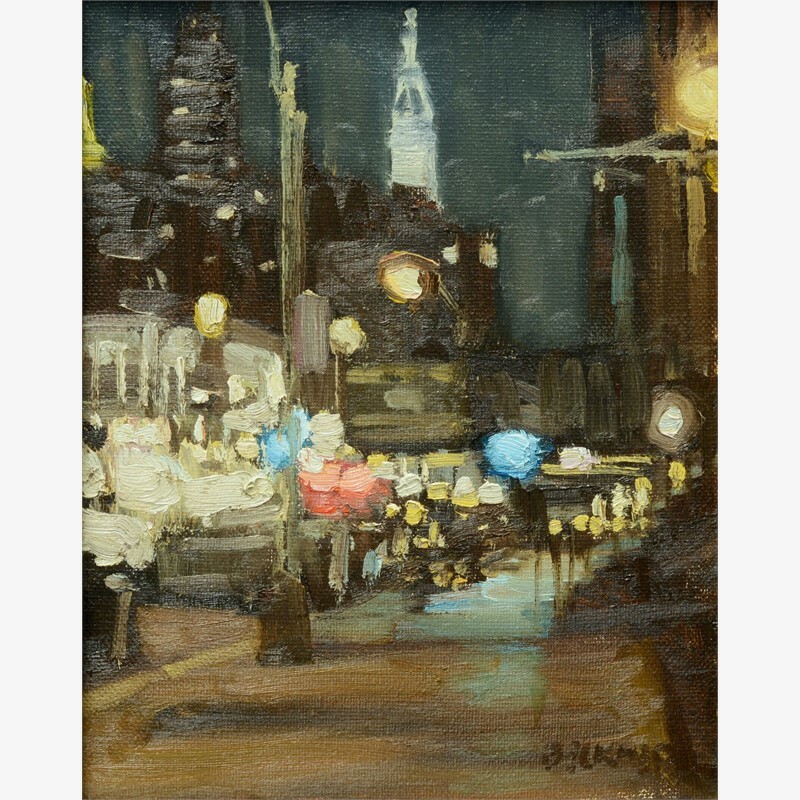 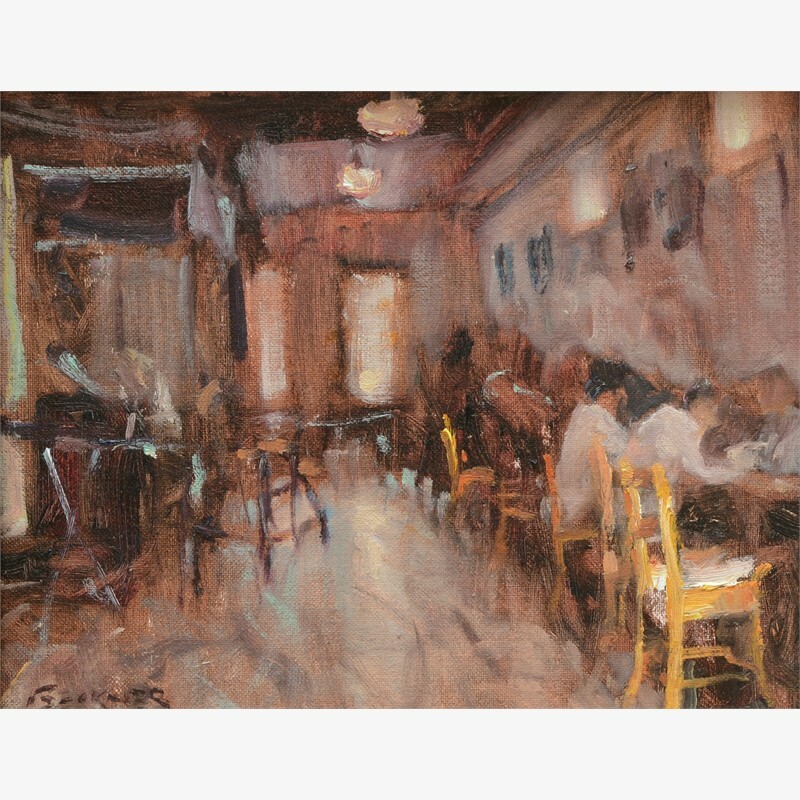 The lively pacing of his brushwork so easily lends itself to motion, to traffic and pedestrians, illuminated shop windows, and street lights.